The colorful wave stitch designed by MyPicot looks amazing when done in more colors. The open and airy fabric created by this playful crochet stitch is perfect or summer crochet projects Whether you’re looking to make a beautiful crochet summer top, a colorful summer shawl or anything else for warm weather, the colorful Crochet Wave Stitch is sure to inspire some really gorgeous projects. 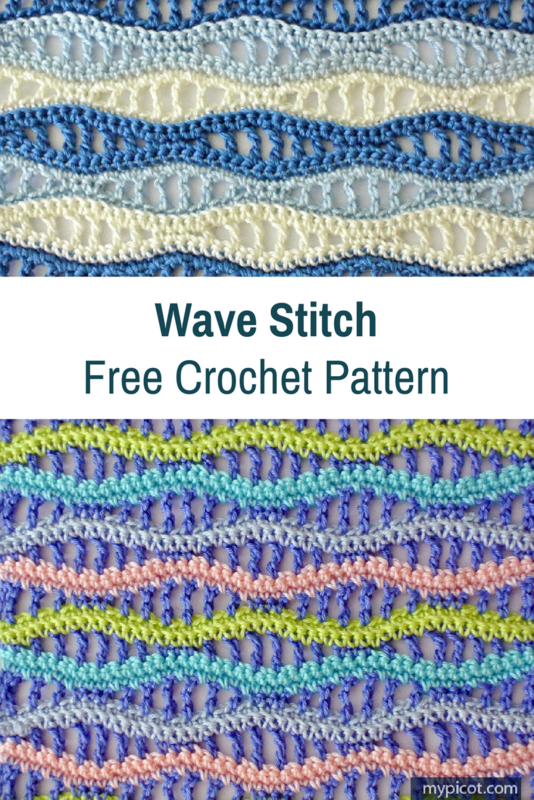 Head over to My Picot to get your free pattern: Crochet Wave Stitch Free Pattern.